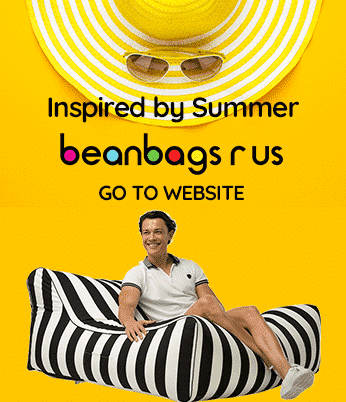 Bean Bags R Us NewsBean BagsAre BeanBags Safe or Are they a Fire Hazard? Are BeanBags Safe or Are they a Fire Hazard? A recent incident in the United Kingdom has brought attention to the fact that you can never be too careful when it comes to fire safety standards. Fires may start from even the most unlikely of sources and circumstances. Bean Bags and other furnishings may pose a fire hazard if not used properly. On February 19, Michelle Mone, the 43-year-old model and founder of the Ultimo bra and lingerie company, frantically went to Twitter. She told her fans and followers that her £2 million home in Mayfair, London, was on fire. According to a spokesperson for Mone and a representative from the London Fire Brigade (LFB), the cause of the fire, was, believe it or not, sunlight. Apparently, as the celebrity entrepreneur was in another room of her house, she began to smell something burning. She cautiously approached the place from where the odor was emanating, and she saw through the smoky haze that her fur bean bag was ablaze. The bean bag was on the floor near a table with a mirrored top. Although it was only 10° C outside, conditions were bright and sunny. The sun was shining brightly into the room, and a beam of sunlight was being reflected from the mirror directly onto the fur bean bag, making it hot enough to ignite. Ms. Mone was able to put the fire out by herself, and emergency services were unnecessary. However, authorities and the public were told of the incident when an official statement was released soon afterward. The report confirmed that Mone was unharmed by the fire, and damage to the apartment was minimal. Even though she was “fine”, Mone said that she was concerned about what could have happened if she had not been home at the time. After the initial tweet, Mone’s fans were very responsive. Most of them expressed their sympathy, stating they were happy she was not hurt or injured, but others did not believe the story. Ms. Mone’s autobiography is due for release in two weeks, and the incident may have been a publicity stunt to attract attention to the Scottish-born multimillionaire before it goes on sale. The LFB, however, was quick to defend Mone, and a public advisory was issued about the danger of fires starting from direct or reflected sunlight. According to fire investigator Charlie Pugsley, 125 such fires occurred in London alone over the past five years, and in 2013, sunlight was blamed for starting 34 blazes in the city. In July 2014, a house caught fire in Clapham when sunlight refracting through a crystal doorknob focused on a dressing gown hanging nearby. And a few months before that, a house in Romford was severely damaged by fire when sunlight reflected from a crystal ball to a set of curtains. In another incident in 2010, a U.S. home in Oregon nearly burned to the ground when sunlight passed through a snow globe sitting on a windowsill, focusing the beam to a narrow point like a magnifying glass. “This shows these fires are not an urban myth. Also, make sure that you have a working smoke alarm on every level of your home,” the fire inspector added. Nearly all materials will burn should they become hot enough. But the risk of fire and the severity of injuries as a result of a fire vary by the type of material and are dependent on whether it’s treated with a fire-resistant coating. Clothing, carpeting, drapes and furniture all pose a fire hazard, and this includes bean bags. However, the risk can be mitigated by ensuring that all items meet federal, state and local fire regulations and use high-quality fabric suited for the item’s use. In the U.S., the Consumer Product Safety Commission (CPSC) is responsible for regulating the flammability of fabric, and in Australia, flammability standards are set by the Australian Competition & Consumer Commission (ACCC). However, it is up to each individual to ensure that they are buying quality items and are not using them in hazardous ways. Many countries require manufacturers, resellers and distributors of bean bag furniture to ensure that their products are fitted with a warning label and a child proof zipper mechanism. If your bean bag has a zipper that has a handle intact, be sure to cut off the handle so the zipper can not be opened by a child. The filling inside the bean bag can cause choking if inhaled. Make sure your child can not open any bean bag cover that contains polystyrene bean bag filling. Even though all fabrics used for clothing and furnishings can burn under the right conditions, different types of fibers burn in different ways. Cotton, linen, and other cellulose fibers are among the most flammable. They ignite easily and burn rapidly with bright flames. Rayon and acrylic are also highly flammable, but rayon shrinks as it burns, and acrylic may melt and drip. 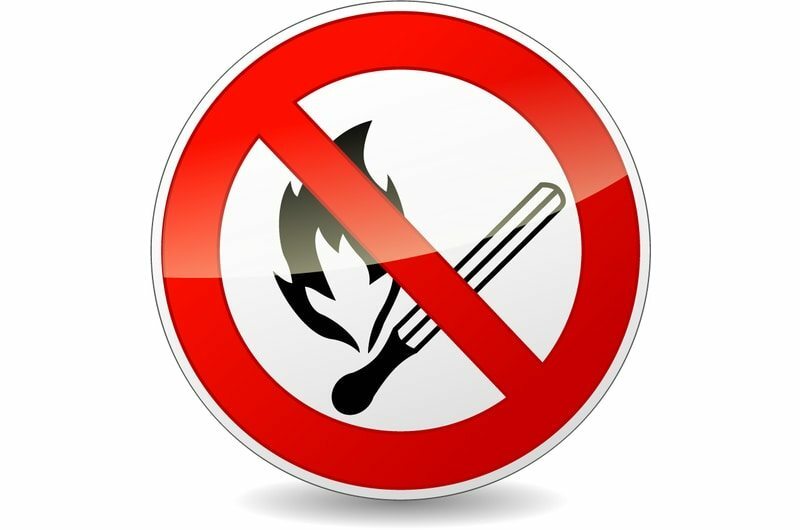 While natural fibers are generally more flammable than synthetic fibers are, there are a few exceptions. Wool and silk are both extremely difficult to ignite, and they burn slowly. In fact, many woolen and silken items self-extinguish instead of burning in totality. Never allow an ignited candle to be situated anywhere near a bean bag. In 2001, a Maroochydore man died as a result of smoke inhalation. The fire started on the ground floor of a three-story residence when a candle came in contact with a cotton bean bag. The candle is thought to have rolled off a coffee table while the man was sleeping on the couch. Never leave candles unattended around your home. Candles pose a serious fire hazard when unattended. Nylon and polyester are synthetic fabrics that make excellent choices for clothing and furniture, including bean bags. The materials are slow to ignite, and they shrink and pull away from heat sources, which is often enough to prevent fires. However, the lower the density of the fabric, as measured on the Denier scale, the easier it is to catch on fire. This means that nylon and polyester that is thick and durable is safer than fabrics that are thin or of low quality. When it comes to bean bags, the fabric from which the cover is made is not the only consideration. You must also think about the filler. Most bean bags are filled with beads made from expanded polystyrene (EPS), which is relatively safe on its own and even safer when treated with a fire-resistant coating. For EPS to burn, it must reach a temperature greater than 200° C, but the flash point increases to anywhere from 300° C to 500° C after being treated. Fire safety is a serious issue that must be considered before purchasing anything made of fabric, but you can reduce the risks by buying intelligently. Bean bag furniture is just as safe as any other furniture, however some fabrics may be safer than others. This entry was posted in Bean Bags.